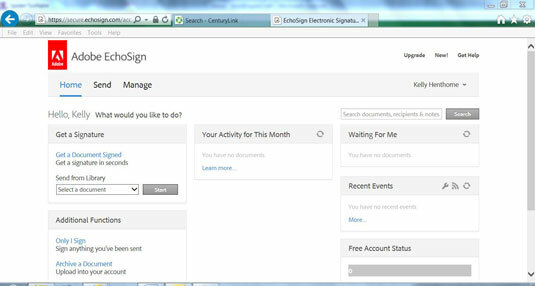 Log on to your EchoSign account. The Home screen appears. 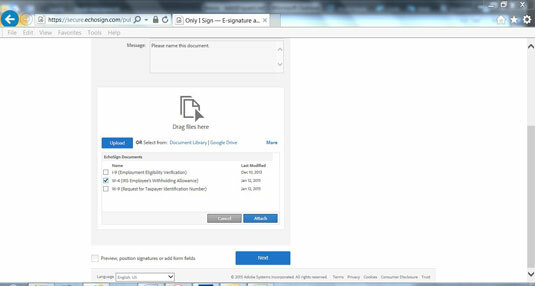 Select Only I Sign in the Additional Functions area. The Send screen appears. Fill in the To: field with the email address of anyone who needs a copy of your signed document, such as someone in Human Resources or your accountant. In the box labeled Drag files here, select Document Library. These files are available from the document library: I-9 (Employment Eligibility Verification), W-4 (IRS Employee’s Withholding Allowance), and the W-9 (Request for Taxpayer Identification Number). Select the checkbox for the W-4 and click the Attach button. Click the Next button. 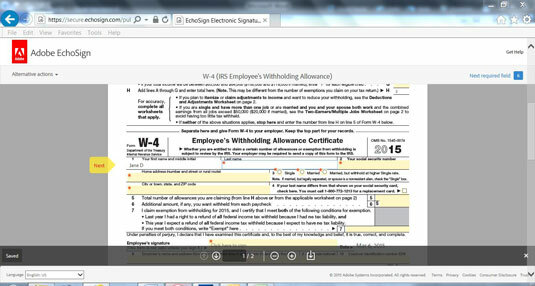 Form W-4 (IRS Employee’s Withholding Allowance) appears. Note the big yellow arrow with the red “Start” label, indicated that the highlighted field (highlighted in light pink) is required. Note that required means just that; you have to fill out these fields before you can sign the document. After you enter information into each field, press Enter to move to the next required field. 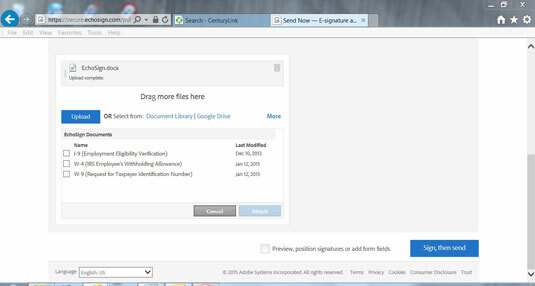 Alternatively, you can click the Next required field option at the top of the document. 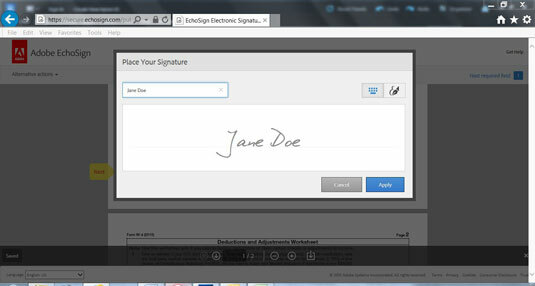 Click in the Signature field. The Place Your Signature dialog box appears. Type your name into the signature box, and click Apply. 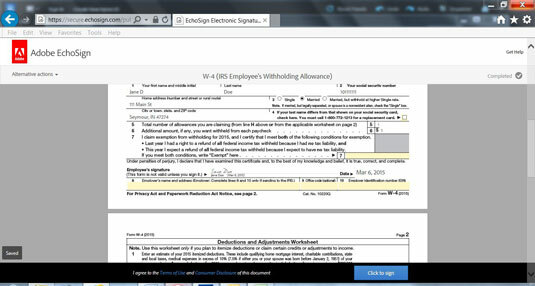 Your W-4, with signature in place and all fields filled in appears. A red arrow appears briefly above the Click to sign button. 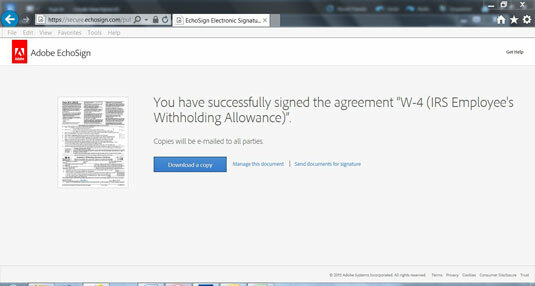 A processing screen appears briefly followed by a screen telling you that you have successfully signed your W-4 and that copies will be mailed to those you’ve indicated.